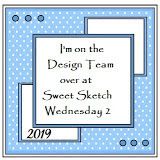 It's been a grey and wet bank holiday here in Yorkshire, perfect crafting weather so I have spent a pleasant afternoon (after a 2 week drought on the paper crafting front) making my mother-in-laws card for her 92nd birthday next month. another great sketch, I didn't play last week because I was mojo-less. I have used a Card Creations decoupage sheet Teacup, Flowers and Cake. The papers are from the Shabby Shack block from Lili of the Valley and I think the roses came from their shop too. The pink card is American Crafts and the pink circle was cut out with the smallest Decorative Circles die Grand Nestabilities. Sentiments are Craftwork Cards and the 4 pieces of ribbon and lace are from the jar. The verse is from a CD rom which I had bought a couple of years ago. Very pretty card and love the papers, great image too. So pretty, love the flowers. Your MIL is going to love it. Thanks for joining us this week. Oh Anne your Mother-In- Law will love your card, such a lovely image and such pretty colours and design papers. I just adore the vase of those beautiful Sweet Peas one of my very favourite flowers. My Dad always grew them on a very long fence line every year and as you came into our back yard this wonderful perfume hit you. I think it's their wonderful bright colours which I love. 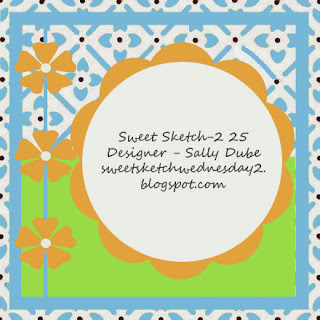 This is a great card and thanks so much for joining us this week over at Sweet Sketch Wednesday and good luck. This is very beautiful Anne. Your MIL will adore it I'm sure. 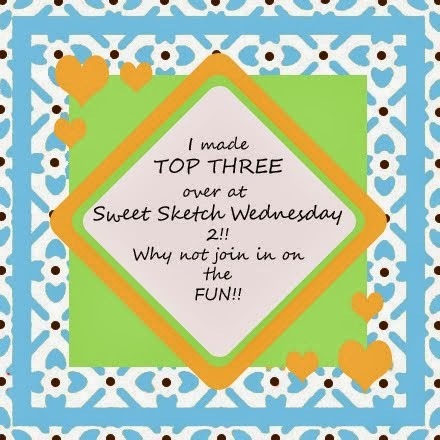 Thanks for joining us at Sweet Sketch Wednesday2!